Anyway, the main thing I learned about making quiche is: keep the main ingredients simple! 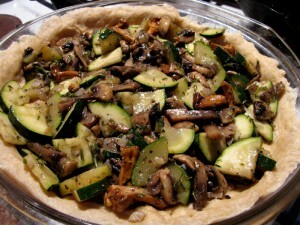 Don’t go for a five vegetable pie, and limit your main veg to two things. Or just one. 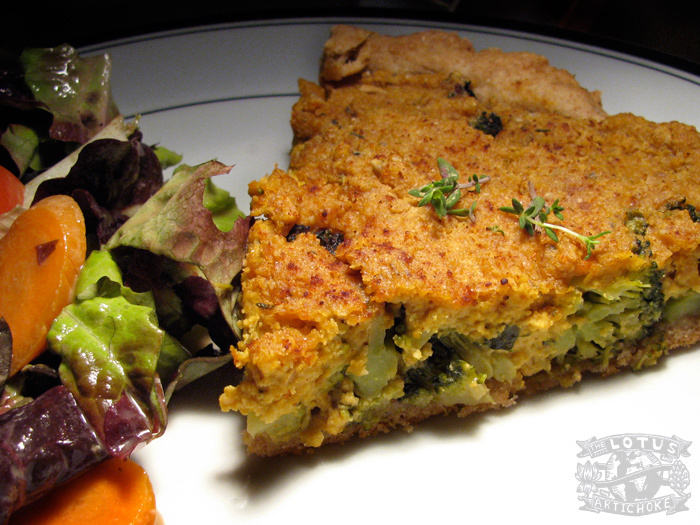 I’ve experimented with all kinds of ingredients and crusts, and this recipe highlights my favorite: Broccoli quiche. 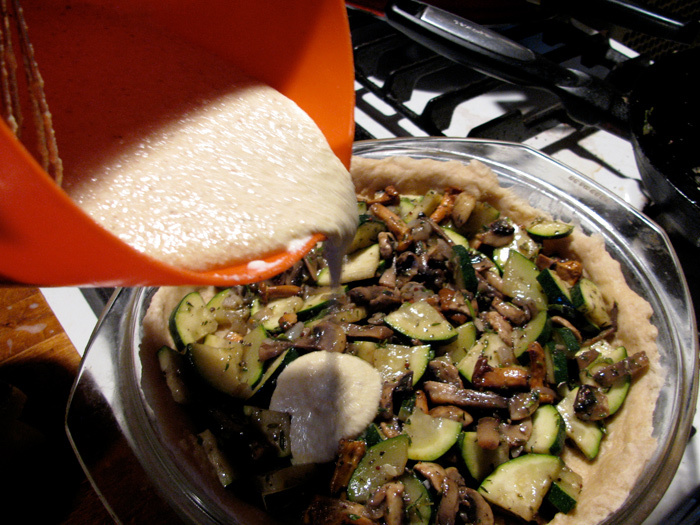 Last night I made a zucchini and mushroom quiche which is here for you to see, too. So, how’s your quiche? Dis-moi, s’il vous plaît! 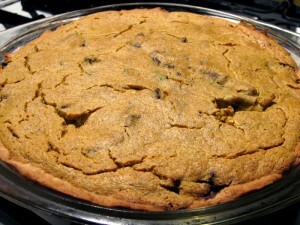 Combine flour, baking powder, salt, sugar in large mixing bowl. Add margarine, vinegar, half of water. Form ball, knead well, adding water (or more flour) as needed. Cover dough, set aside for 30-60 min. Preheat oven to 425°F / 220°C / level 7. Purée or blend tofu with soy milk. Transfer to large mixing bowl. Add wine, lemon juice, sunflower seeds, sesame seeds, chickpea flour, nutritional yeast, cumin, thyme, turmeric, nutmeg, salt. Mix well with whisk. Heat 2 Tbs oil in a large sauce pan on medium. Add garlic, shallot, cumin, pepper, fry 2-3 min. Add broccoli (or mushrooms and zucchini), sauté lightly, stirring regularly, 4-5 min. Turn off heat, cover. Grease a medium large (10×8 in / 25×20 cm , 9×9 in / 22×22 cm, 10 in / 25cm round, etc.) baking dish (glass or ceramic) with oil. Press and spread dough evenly on bottom, along sides. Poke bottom several times with a fork. 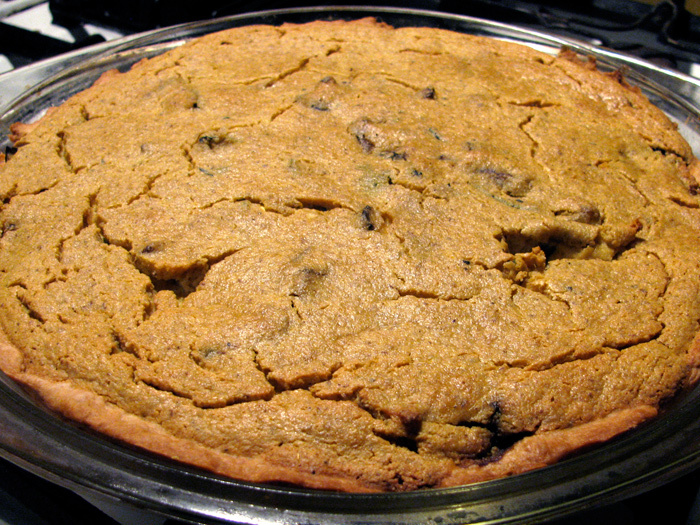 Pre-bake (empty) crust 7-10 min. Arrange sautéed veg evenly on crust, pour tofu filling mix slowly to cover. Bake for 35-50 min. Quiche is done when golden brown on top and a knife or toothpick come out clean. Remove from oven, cool 10 min before cutting and serving. Other vegetable twists: tomato and onion, potato and carrot, red and green pepper. Spinach quiche: Lightly sauté 2 cups fresh (1 cup frozen – thawed) chopped spinach and add directly to tofu purée. Vedic style, No garlic or onions? Replace garlic, shallot with a pinch asafoetida, 1/2 tspn ground coriander. Super cheezy? Add 1/2 cup of your favorite grated vegan cheese on top of veg before adding tofu mix. Thanks, Laurence. Quiche is great! Try a vegan one sometime! They can also be totally delicious. 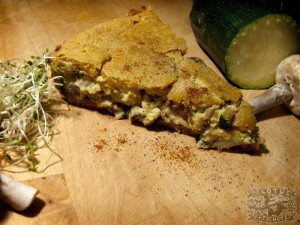 If you’re used to a more cheesy quiche you could find one / make one with some of that shredded vegan cheese. Tolles Rezept, gefällt mir sehr gut, auch wegen der vedischen Variante. Steht auf der Liste für’s kommende Wochenende (wenn ich’s so lange aushalte). Hey, vielen dank! Das freut mich zu hören, dass du es toll findest! Tue ich eigentlich gern mit den vedischen Varianten. Sag mal Bescheid wie’s für dich wird, bitte! Hallo, hab’s etwas abgewandelt, den Boden (aus zeitlichen Gründen) weggelassen und eine Zucchini-Champignon Frittata davon gemacht. Einen Rest Pizzaschmelz habe ich gleich mit “verwurstet”. Hat wirklich toll geschmeckt. Freu mich schon auf’s Kochbuch. Danke fürs Feedback, Eugen. Das klingt, als hätte es gut geklappt und toll geschmeckt! Ich freue mich… auch dass du dich aufs Buch freust. Ooh, those do look good Sophie! I remember seeing your little quiches a few weeks ago! Thanks, Lee. I just checked out your site, too. I always like to read about other traveling (& India exploring, thinking) cooks. Let me know how the kitchen adventures with any of my recipes goes, okay? again a very tasty recipe! I ate the cold leftovers the next day – that was gorgeous as well! Can´t wait for your book to arrive :)!! Well I am on facebook but not very often :).